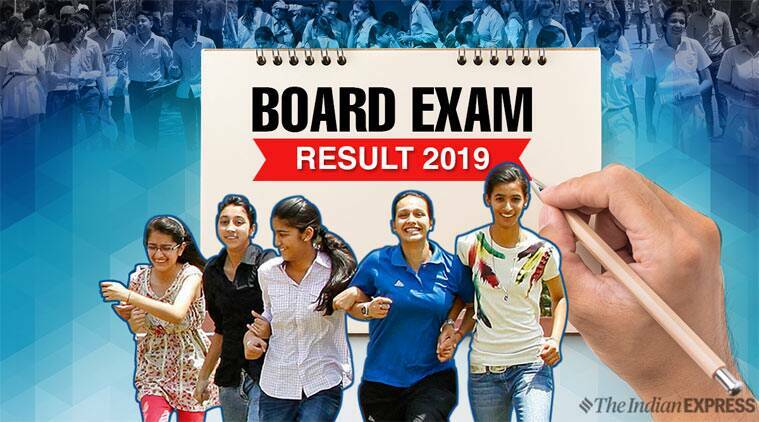 Karnataka PUC 2nd Year Results 2019 HIGHLIGHTS: The Karnataka Secondary Education Examination Board (KSEEB) has declared the results of pre-university (PUC) exams on Monday, April 15. Students who had appeared for the examination can check the results through the official websites from 11 am. The pass percentage for this year has been 61.73% and Udupi district has emerged as the best scoring district yet again followed by Dakshin Kannada. In 2018, Udupi was the second most scoring institute. In 2017, it topped among all with 90.01 per cent followed by Dakshina Kannada, Uttara Kannada, Kodagu districts. In terms of locality, students from rural background have performed better than that of students belonging to urban areas. This year, rural students had pass percentage of 62.88% candidates and urban candidates had 61.38%. The pass percentage is the number of candidates who have cleared the exam as compared to those who appeared. Students need to secure 35 per cent marks to clear the PUC exam. Candidates will need to score a minimum of 70 marks in the language papers and 30 marks each in individual subjects for a total of 210 out of 600 marks to be declared pass. The 2nd PUC results will be available at the official websites- kseeb.kar.nic.in and karresults.nic.in. The candidates will get their results latest by 12 noon. To check the result, candidates can visit the official website and open the result link. The link will be activated once the result is announced. The highest pass percentage is in the science stream where 66.58% of the students have cleared the examination. This is followed by commerce where 66.39% of them have passed. The arts pass percentage is 50.53%. The rural students have performed better than urban students in Karnataka 2nd PUC examinations. The pass percentage of rural students is 62.88 per cent, while the urban students secured 61.38 pass per cent. The overall pass percentage has climbed up to 61.73% with the highest score depicted from students belonging to Udupi district. Girls have shown a better result than boys. More students passed from rural area than the urban area. The rural region had 62.88% pass percentage and urban had 61.38%. Karnataka PUC II result 2019: Available! 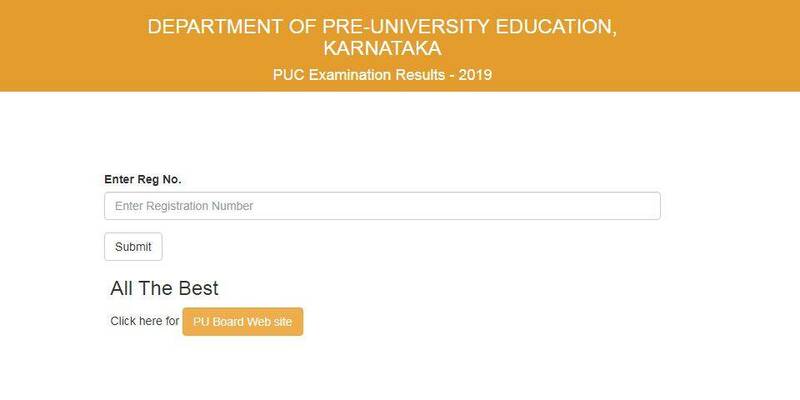 Karnataka PUC II results 2019: Where can I check my result/score? While the result has been declared by officials in a press conference the same is not available for students to download yet. The announcement was a bit delayed, so is the availability of links. The links showing results will be activated on official websites at 12 instead of 11 am, as informed by officials earlier. The reason for more pass percentage as compared to that of last year is starting classes early this year and also reducing the number of days granted as dussehra holidays which allowed students more time to study, said officials. Candidates who are not happy with their marks can apply for rechecking. Those who have flunked in a subject or two can apply for the supplementary exam. The supplementary exams are held in June and the results are usually out by July. Last year, nearly 2.5 lakh candidates appeared for the supplementary examination. KSEEB will announce the dates soon. A total of 54,823 students have got distinction in Karnataka PUC result 2019. As many as 52,106 have cleared the exam in second class and 80,157 have cleared it in the third division. A total of 80 colleges have registered 100% pass percentage; implying that all the students who appeared from these colleges have cleared the exam. Out of these 80 colleges, 15 are government colleges. The pass percentage rises as high as 2.15 per cent from last year with overall 61.73 per cent candidates passing exam. Living to the high expectations, Udupi district has again emerged as the district with the best result followed by Dakshin Kannada. In 2018, Udupi was the second most scoring institute. In 2017, it topped among all with 90.01 per cent followed by Dakshina Kannada, Uttara Kannada, Kodagu districts. While the II PUC results have released 15 days early than the last year, however, the department officials said they cannot say if the classes would begin early or not. The examinees can check their scores at the official websites — kar.nic.in, karresults.nic.in and pue.kar.nic.in, once released. In case the candidates are unable to access the aforementioned websites, which may be down due to heavy traffic, they can visit examresults.net/karnataka to check their scores. While the officials had earlier said that result will be declared at 11 am, it has been officially pushed to be available on the websites for students to download at noon, 12. The announcement has been made. While the result for PUC II (class 12) has been postponed from 11 am to 12 noon for April 15, 2019. The result declaration time for SSLC or first-year PUC exam conducted by Karnataka board or KSEEB has been announced. The equivalent of class 10 exams' result will be declared in May 2019. The exam was conducted from March 21 to April 4, 2019. Those who clear the exam can register at the official website, pue.kar.nic.in for admission to graduate courses. KAR 2nd PUC result 2019: Why postponement? The reports of postponement can hold ground as the websites are in the process of uploading the results and have been facing heavy traffic since morning. The websites as of now are crashed, candidates can still opt for the result alert via SMS as well. Will early PUC result mean lesser CET particpation? As per reports, since the result for 2nd PUC is being announced around two weeks before the usual time, a dip in the number of those appearing for the CET is expected this year. The admit card for same is released. CET 2019 to be conducted from MArch 29 onwards. With less than 30 minutes to go for the result announcement, the official websites of the Karnataka board have crashed. Candidates can alternatively check result on mobile via SMS candidates need to send a message to 56263 by typing KAR12<space>ROLLNUMBER - Send it to 56263. The results will be declared at 11 am and candidates can check on mobile via several means. There are 1202 Government Pre-University colleges, 637 Aided, 1936 unaided and 165 bifurcated PU colleges and 13 corporate pre-university colleges. Students can check their results at - kseeb.nic.in, karresults.nic.in, examresults.net, result.nic.in, manabadi.com, and manabadi.co.in. Announcement to be made at 11 am today. Despite the demands of giving lenient and grace marks in Biology exam over alleged out of syllabus questions, the Department of Pre-University Education has ruled out the possibility of any grace marks and stated that the questions were from the syllabus prescribed. 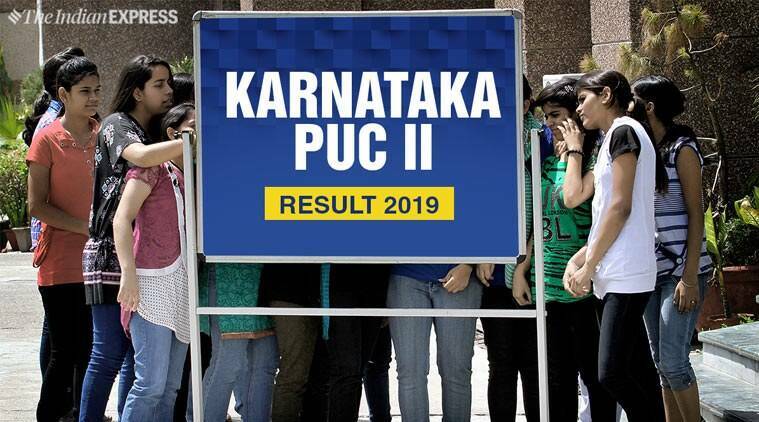 Karnataka PUC II results 2019 HIGHLIGHTS: This year, around 8.41 lakh students have registered for the SSLC exam, while 6.73 lakh students for the PU II exam. Last year the PU II exam result was declared on April 30, while SSLC on May 7, 2019. Last year, 59.56 per cent students cleared the PUC II examinations. Among districts, Dakshin Kannada has topped followed by Udipi.